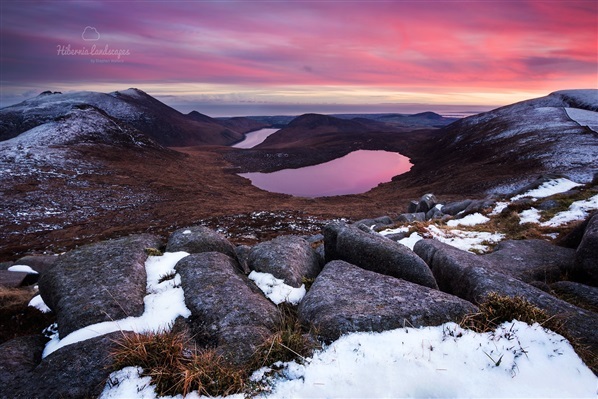 They say a picture is worth a thousand words so we’ll let these awesome photos from Hibernia Landscapes do the talking and you can get out and do the winter walking! 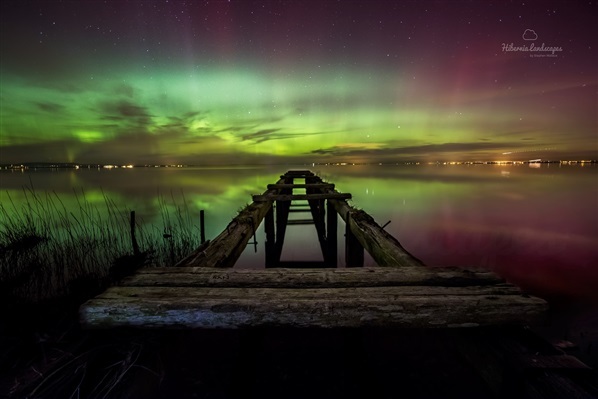 Lough Neagh Aurora - One of the beauties of winter is the longer nights, and the darker skies. When a dark, moonless sky coincides with a solar storm, we can sometimes see the northern lights all over Northern Ireland. This shot was taken not far outside Lurgan, on the southern shores of Lough Neagh in Co. Armagh. The largest inland lake in Europe was completely still that night so there were reflections all the way to Aldergrove in the north east corner, where, if you look carefully you can see planes coming in to land. I wonder did the passengers know what was going on outside?! 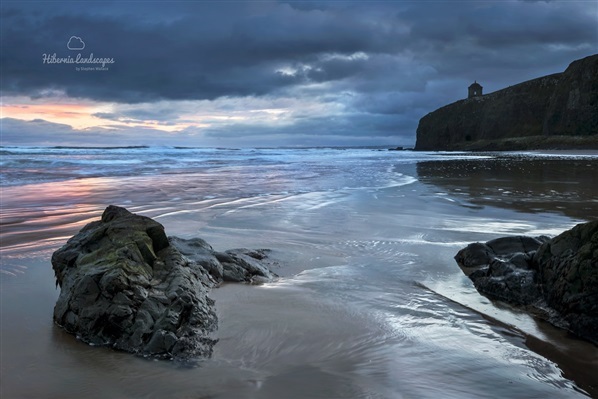 Stormy Downhill - I've photographed this scene on the beautiful Downhill Bay, Co. Derry~Londonderry in many weather conditions and it always looks different depending on the tides and the skies. This was a particularly cold morning as the winds battered the cliffs and clouds threatened rain. Mourne Mist - Sometimes you can walk for hours and see nothing but darkness and thick cloud in the Mourne Mountains. 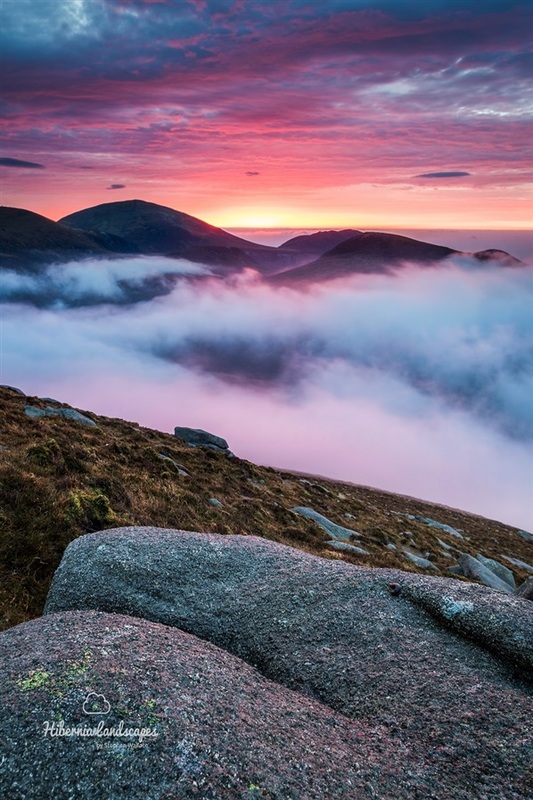 But if you walk far enough and high enough, sometimes you can get above the cloud and see a spectacular sunrise like this, from the summit of Slieve Bearnagh looking across to Slieve Donard. 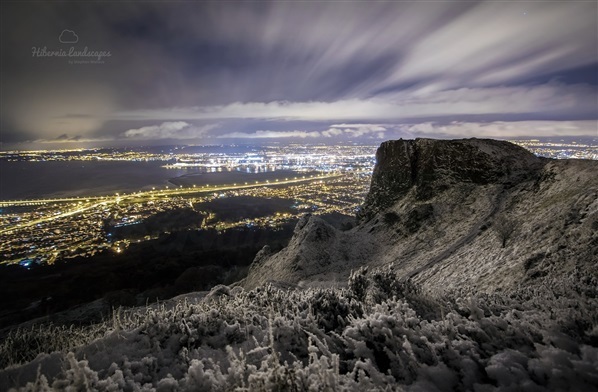 Cave Hill, Belfast - Snow on the summit of Cave Hill, looking down on Belfast at midnight. A winter wonderland. 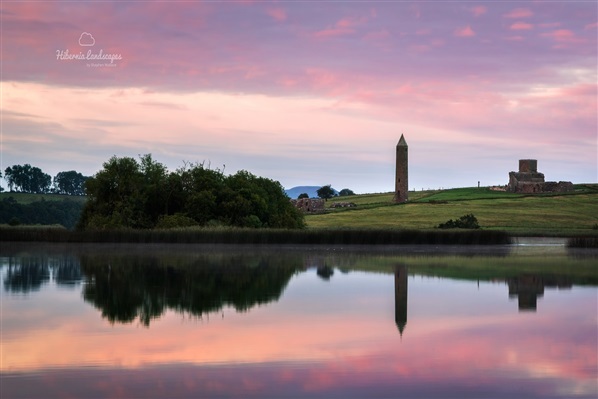 Devenish Island in Co. Fermanagh is one of our most beautiful but perhaps under-appreciated locations. This was taken on a calm morning when the sun rose behind me but the colour filled the whole sky. Mussenden Storm - Every 10 minutes, the heavens would open, then the skies would clear and another big cloud would blow in. 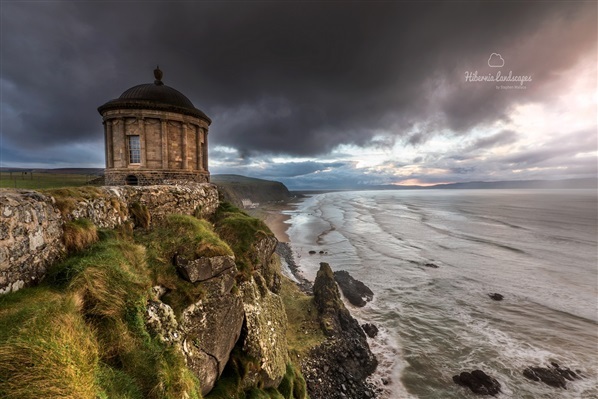 This was taken at Mussenden Temple, Co. Derry~Londonderry just before another rain shower started. A group of tourists stood and watched bemused as I voluntarily stood on the dangerous side of the wall in the rain...but hopefully you can see why! 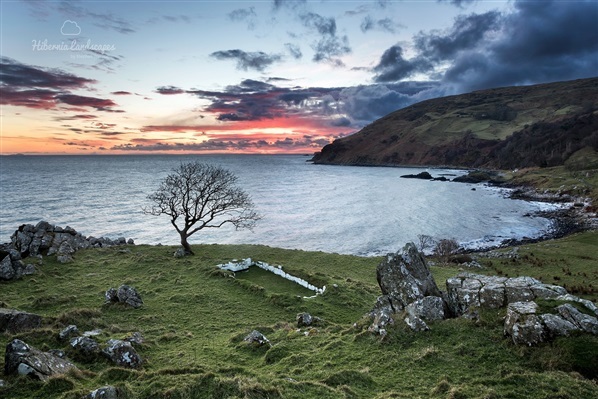 Murlough Bay, Co. Antrim - Taken on Valentine's Day at Murlough Bay near Ballycastle, this has to be one of the greatest viewpoints we have. Lough Shannagh, Mourne Mountains - A sunset can come out of nowhere, on even the dullest and cloudiest days. The sun can just catch the cloud and light up the sky as it dips below the horizon. This is one of the iconic views of the Mournes and I was very happy to be hiking on Slieve Lough Shannagh during this sunset! 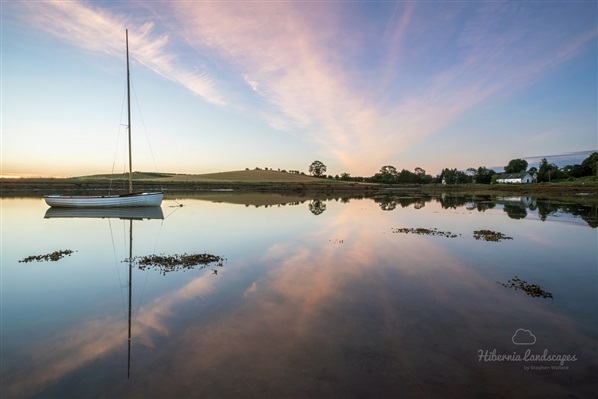 Ballymorran Bay is an idyllic little bay between the drumlins on the western shores of Strangford Lough, Co Down. This was shot at sunrise on a perfectly still winter morning. Frozen Planet - During the big freeze winter of 2010, at sub-zero temperatures and cutting winds, this was photographed very quickly at sunrise! 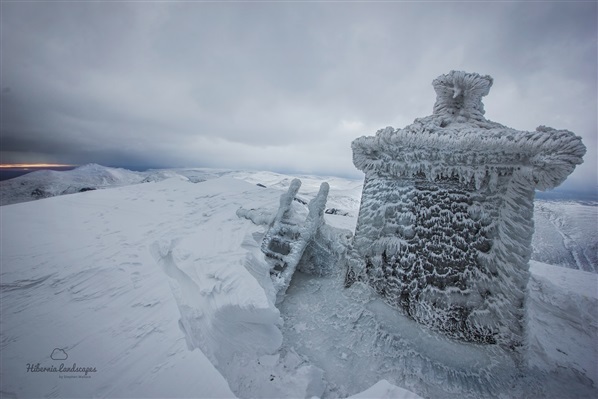 The snow drifts were 8-10ft in places and I've never seen icicles like that on the shelter of Slieve Donard in the Mourne Mountains before or since. What Women Really Want...For Christmas! Christmas shopping is hectic enough without having to guess what the special woman on your gift list wants this year. We've pulled together a list of our top Christmas gift ideas to help you find the perfect present to delight her when Christmas morning comes. A chance for her to discover her inner Jane high as she negotiates through 50 challenges and obstacles up to 40ft high above the ground including zip lines, bridges, scramble nets and a death defying power-fan descent. A high speed boat tour along the spectacular Casueway Coastline. Join local experts aboard their high speed boat passing iconic locations inlcuding the Giant's Causeway, Dunluce Castle and the sea caves at Whiterocks. An exhilarating high speed boat tour of Strangford Lough passing Clough Rocks nature reserve, the lighthouse and the loughs infamous whirlpools. Get ready to fly high across the valley over the forest and off road course below along Ireland's longest zipline. This is one experience that will never be forgotten as she discovers a whole other side of the North Coast under the watchful eye and instruction of an experienced coach. Roam through the forest on an off road Segway adventure. These futuristic two wheeled machines are just as fun as they sound! Enjoy some time together relaxing during a morning or afternoon's paddling session out on the beautiful Castlewellan Lake. Learn the ropes of sailing with some hands on experience or simply relax and enjoy the scenic Antrim Coast. With room for up to three people they can even take friends or family along too!